There’s been a lot of hype. “It should be big!” many are saying- but that’s if El Nino in Park City, Utah manifests in an above average way. 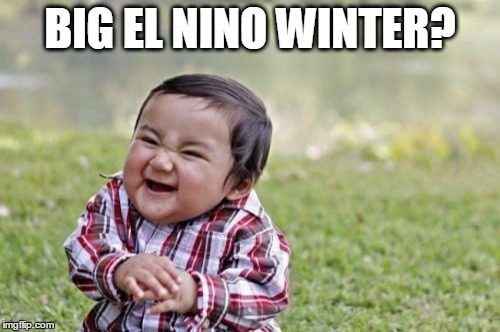 It’s not always El Nino, though, which paves the way for great snow. In more recent memory, the 2011-2012 winter left us with enough snow to ski into July and everyone nostalgically refers to it as “the big winter”. That winter really fueled our faith. We had so much snow the reservoirs were all near capacity and our water sources were replenished after years of drought. In the backcountry, lines that hadn’t been skied for years were descended and due to the consistent snowfall, the snowpack was stable and the avalanche danger was lower than it’s been in many years. After that great year, we have had four seasons of below average snowfall. We have seen the impacts of low snow totals and the strain on the industry that occurs simultaneously- indeed we have felt it ourselves. In Park City, locals have been saying to one another “pray for normal” in lieu of the usual “pray for snow”. Here at All Seasons Adventures, we find ourselves fortunate, for even in low-snow conditions we have plenty of fun to offer our clients. Snowshoeing is wonderful in woods even when there isn’t deep powder (maybe even better!). Dog sledding is easier for the dogs on packed trails- no powdery fluff factor needed there! Cross country is best on a groomed track. And then there’s fly fishing which is great regardless of ski hill conditions. So here we are, it’s September, and we’re getting things lined out for another great winter season regardless of the amount of snow that Mother Nature may drop.